"Steaming the kale removes some of the bitterness. The salad dressing ties all the flavors together. 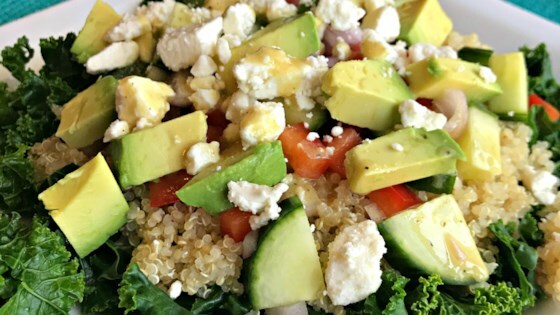 A quartet of super foods (kale, quinoa, avocado, and olive oil) make this a healthy meal!"